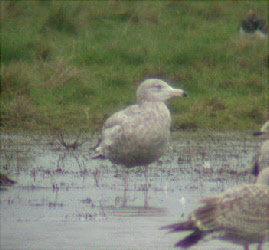 11th January- 25th February 1984, a 2nd winter bird seen at Severn Beach then mainly near Northwick Warth tip. 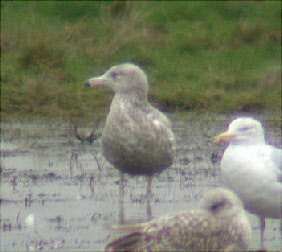 It spent some of its time here with an immature Iceland Gull. 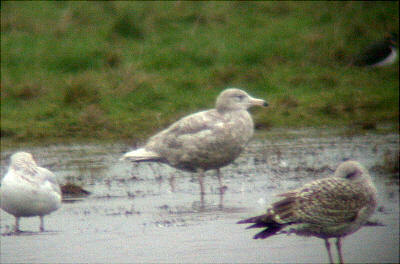 21st March 1991, an adult flew south west past Aust Warth. 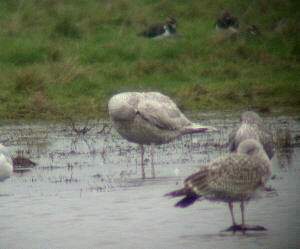 31st December 2002, a 1st winter bird was present for just a few hours on the flash on Northwick Warth. 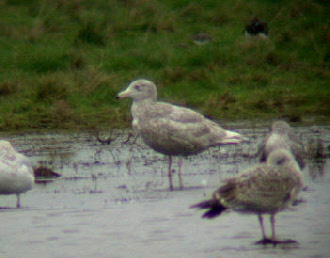 April 13th 2012 a third year bird flew east over Northwick Warth. The images below are of the 2002 bird.